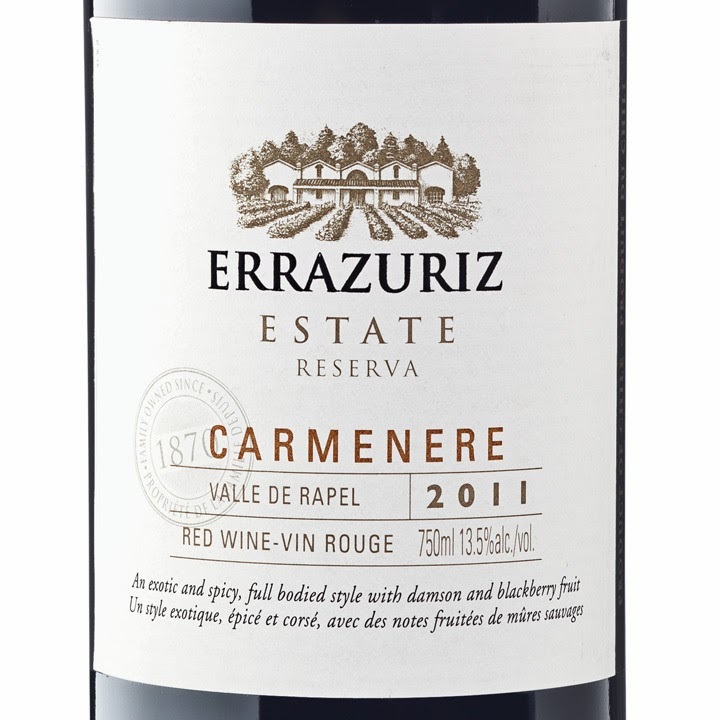 For this week’s Sukasa Style Wine Wednesday pick we travel down to Chile’s Valle de Aconcagua for 2011 ERRAZURIZ ESTATE CARMENÈRE (LCBO reference: 16238 | SAQ reference: 10673575) well priced in Ontario (at $13.95 but $15.20 in Quebec) making it, in our opinion, a recommended buy in relative and absolute terms. Here’s a question: If you take the analogy of wines to cars, do you think of Chilean wines as a Volvo or an Audi? We suspect neither as the country remains under that radar for many an oenophile considering a higher end purchase. About a decade ago Master of Wine Tim Aitken made the analogy that Chilean wine was reliable but boring – like a Volvo — while today AurelioMontes argues that Chilean wine is akin to an Audi and capable of competing with the best wines from France. 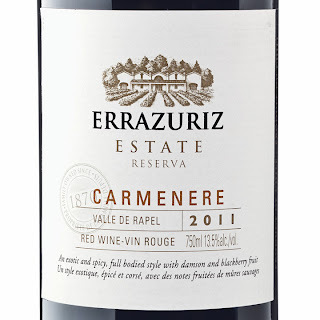 We don’t take the argument that far – it isn’t going to edge out a Barolo or Brunello from your cellar just yet – but the 2011 vintage of the Errazuriz Estate Carmenère is definitely ready to drink today, balanced with tannins and acidity that opens up after half an hour to be smooth; it is a food friendly number that can be enjoyed by itself as well. And while France may enjoy the cache of being home to higher end wines remember that you won’t get the best Carmenère from Médoc any longer; you have to go to Chile for that now. Optically, the ruby colour accompanied smokiness, spice and wood on the palate. Was this (somewhat odd description and first impression) the result of the wine being aged for eight months in first-, second-, and third-use French and American oak barrels? Food pairing: Try with rack of lamb, Indian Style Sheekh Kabab, rib eye steak. Some may think the similarly priced and more famous CASILLERO DEL DIABLO RESERVA CARMENERE is a better pick. We disagree: give this a try and serve at 15-16oC .